Black Hills Energy, a local utility serving the southern portion of the state, until recently generated only 12% of its power from renewable energy sources. To increase their use of renewables, Black Hills issued a request for proposals in November 2014 to acquire 60 megawatts (MWs) of renewable generation, but the utility was initially denied approval by the Colorado Public Utility Commission (PUC). The PUC deemed that the proposals, including the potential acquisition of a 60-MW wind project in southern Colorado, were not cost-effective solutions and preferred that the utility purchase stand-alone renewable energy certificates to make up the deficit. With substantial long-term rate payer savings in mind, Interwest Energy Alliance, a Four Corners Wind Resource Center partner, filed comments with the PUC that highlighted the long-term benefits of renewable energy production, the price stability from utility-owned renewable projects, the risks associated with RES compliance in the short term through purchase of stand-alone RECs, and the benefits that would be unrealized if federal tax incentives were not acquired through a near-term wind acquisition. 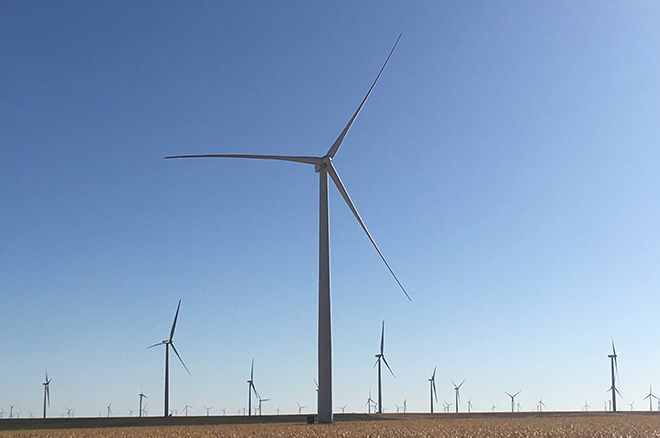 As the U.S. Department of Energy's RRC for wind energy in the Southwest region of the nation, the Four Corners Wind Resource Center is comprised of a diversity of energy partners providing leading expertise on wind energy to their region. The group was able to inform and demonstrate the long-term benefits of renewable energy production, the price stability from utility-owned renewable energy projects, and the risks associated with RES compliance in the short term through purchase of stand-alone renewable energy certificates. After considering the public comments and filings, the PUC announced it would allow Black Hills to refile the previous bids for the 60-MW wind project. The PUC officially reversed their decision on November 2, 2015, and the Peak View Wind Project came online on November 7, 2016, resulting in the utility achieving an additional 7% renewable generation. In addition to keeping Blacks Hills on the path to RES compliance, the project provided economic benefits in Las Animas and Huerfano Counties. Peak View supported 120 construction jobs and provided a monetary boost in the community as workers filled hotel rooms and frequented local establishments while the project was built. Customers of Black Hills Energy are expected to save more than $37 million on their electricity bills during the first 20 years of operation, and the project will support four permanent operations and maintenance positions throughout its lifetime. 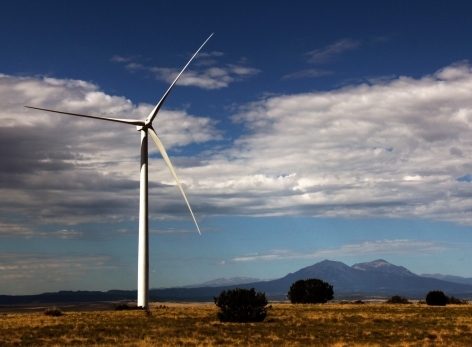 Home to approximately 6,500 people, Huerfano County has 24 of the project's 35 turbines within its borders. County Administrator John Galusha expects the Peak View Wind Project to add $80,000 in annual tax revenue to Huerfano County's general fund during the 20-year lifetime of the project. With an annual county budget of $4 million, the additional tax revenue is a big boost. By ensuring local voices of support were heard and facilitating the information the PUC needed, the 4CWRC helped make this project possible to get Black Hills Energy, and the southern Front Range region, moving in the right renewable direction.